Do we need our own privacy policies? 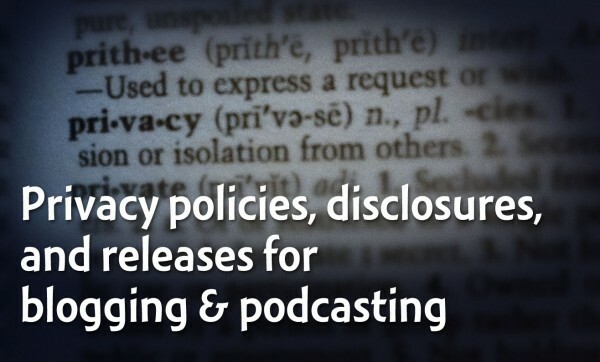 Tim Arthur from Tech Monks Podcast asked whether we need privacy policies. If you gather any information about your visitors, you need to express how that information will be used. This is especially important when it's personally identifiable information: name, email address, phone number, etc. This can be as simple as “We gather ____ and use for in-house analytical policies.” But this statement must be expounded. You need a specific page on your site that explains what information you collect and how you'll use it. Who, what, when, where, how, and why about the information that you gather. How you will use the information (including future flexibility). Whether you'll notify of changes. What domains your policy covers. That your policy does not apply to offsite links, like affiliates. 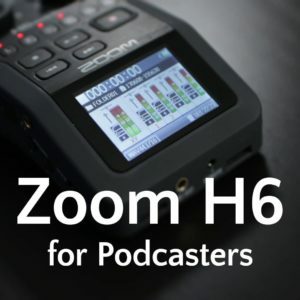 Zak Wallace from Wallys Modcast shared a couple free tools. Free services are a great place to start, but read them and customize as necessary. Then comply with it because it's a contract with your audience. Read more about privacy policies from Gordon Firemark. Make sure you abide by your promise to notify viewers if you change your policies, unless you don't promise to notify. Write in plain English! Say what you mean, and say it simply and concisely. If you change a policy, make a summary so people won't have to read the entire document. Andrew McGivern from The Bunker Project asked about how to get releases from cohosts, guests, and especially random participants (like walk-ins, live call-ins, etc.). Always try to get something in writing from anyone who appears on your show. If writing isn't possible, a recorded confirmation can be acceptable. For random walk-ins, have a sign that notifies visitors that they are about to be recorded. Don't assume that they'll know what you're doing. A notice is sufficient only if they have the option of walking away and their consent is entirely voluntary. Keep your language general. If you say “distributed as a podcast” but later sell CDs, you would have to get permission again. Recorded voicemails or email forms should notify senders that their message may be used as part of your show. This leaves their consent voluntary. Keeper Dan from Miskatonic University Podcast asked about disclaimers/disclosures at the end of podcast. The Call of Cthulhu Roleplaying Game is property of Chaosium, Inc. The written works of H.P. Lovecraft are held in the United States public domain. 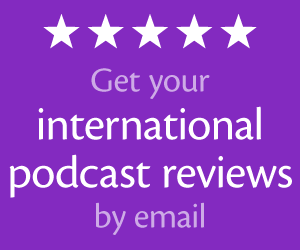 All other works mentioned in this podcast are the property of their respective owners. This could also include that the views expressed in the podcast do not necessarily reflect those of Miskatonic University, or that those of your guests do not reflect your own views. Also include disclosures when you'll get paid from affiliate links, a review, or have received something for free. Include any required attributions for music or other copyrighted content that you've used. cmp.ly makes easy disclosures that can be a great starting point for your site. Make sure you include statements to protect yourself and your audience. For example, if you have a video podcast and use machinery, give safety cautions. A false statement about a person that injures their reputation and isn't protected under free speech. Keep in mind common-sense privacy issues, like health concerns. Parody of copyrighted material is allowed under fair use. And as long as a parody is clearly treated and presented as a parody, it is free from defamation risks. 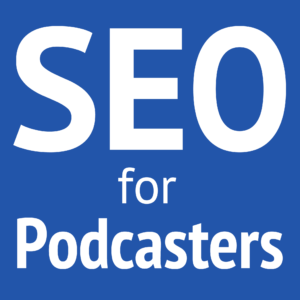 For the month of May, I'll be blogging a daily photo with tools, tips, or cool things related to podcasting. Subscribe to the blog via RSS or email so you won't miss this fun series! If you need something short, consider a summary paragraph with a link to your full privacy statement. Hi Daniel. Just wanted to let you know that the link to FreePrivacyPolicy.com causes Chrome to alert me that Malware is Detected on that site. Google will only allow me to connect if i manually override and authorize the connection. Do you recall if this was the case before? Maybe they changed something on their site? The other link, http://www.privacypolicyonline.com/, loads without a problem. Either they’re doing something bad now, or Google has just caught on.